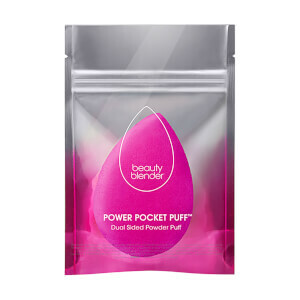 Perfect the look of your makeup with beautyblender blotterazzi™ Pro, a pair of reusable blotting cushions made from award-winning beautyblender material. 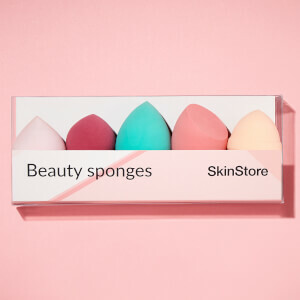 An alternative to blotting papers, the sponges expertly absorb excess oil from the skin whilst helping to re-texturize makeup with their open cell structure. Flexible and easy to use, the blotting cushions are designed to hug every contour of your face, ensuring no nook or cranny is missed. 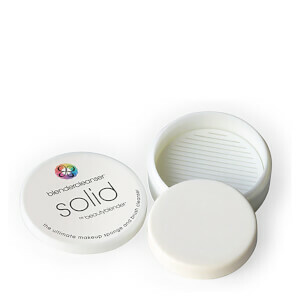 Housed in a mirrored compact with vented back and clear, hygienic separator to ensure sponge freshness. Perfect for on-the-go touch ups; witness flawless skin, wherever you are. Contains two black washable, reusable sponges. Blot larger areas of the face with the wider side of the egg-shape and smaller areas with the thinner side. Use dry. Wash with liquid blendercleanser or blendercleanser®solid®. The set will last at least 60 days with proper cleansing.